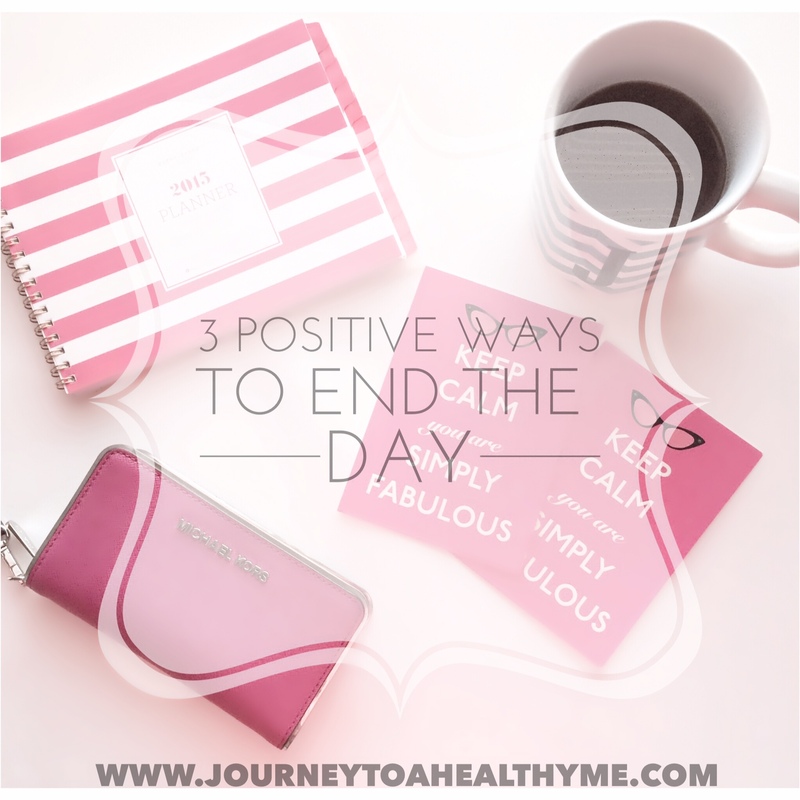 I discussed a few months ago about How important it is to start your day with a boost of positivity. I will say this post is part 2 of that post. I don’t think that we can have a positive way to start the day routine without having a positive way to end the day routine. A. This is one of my favorite and you can use this one for starting and ending the day. It just something about finding thankful moments put the mind in a better place. One way to complete this is by journaling. Write down your thankful moments. I love writing my thoughts down. B. Since your mind is in a positive place, why not keep the positivity going with by making a list of your accomplishments for the day. Okay, you have documented thankful and accomplishment moments. If you still have some tasks left on your to do list, don’t feel bad, just add them to the next day. I have found myself adding more tasks before completing other tasks and this cause me to feel overwhelmed which was the reason for the post, Don’t Stress! Go for a laugh. If you have accomplished every task on your to do list, jot down 3 tasks that you want to work on the next day. This helps give you a great start to step 2, Make a to do list . 2. Relaxing activities. As I discussed in Simple Way To Relieve Stress, sipping some calming tea & doing absolutely nothing is another way to end the day great. This gives you time to calm your mind down from the activities of the day and just relax. It’s like unplugging from it all. All it consists of is enjoying your time doing absolutely nothing. A spa bath is another great one I love to do also. I get my candles, soft music, lavender oil, epsom salt, stress reliever by bath & body works and I am all in. 3. Give yourself a bed time and stick to it. I discussed the importance of getting the recommended amount of sleep in 5 Tips to Reduce Stress. This is very difficult for me. I struggled with this one daily. I was doing fine with it a few months ago but I can’t say that now. I try to give myself a bed time but then I think of an idea or I want to research something for the blog and there goes my bed time. My husband will roll over and ask, “You still up?” “Yes, I just need a few more minutes,” I reply. Ha, those minutes turn into an hour or hours. I am working on it though. There you have it. Work in progress is definitely the definition of my life and I love it because I am taking control and working on doing better. Some days are easier than others. I am learning to enjoy progress. I hope you enjoyed reading about 3 Positive Ways to End the Day and I would love to hear about some ways you participate in to end your day. 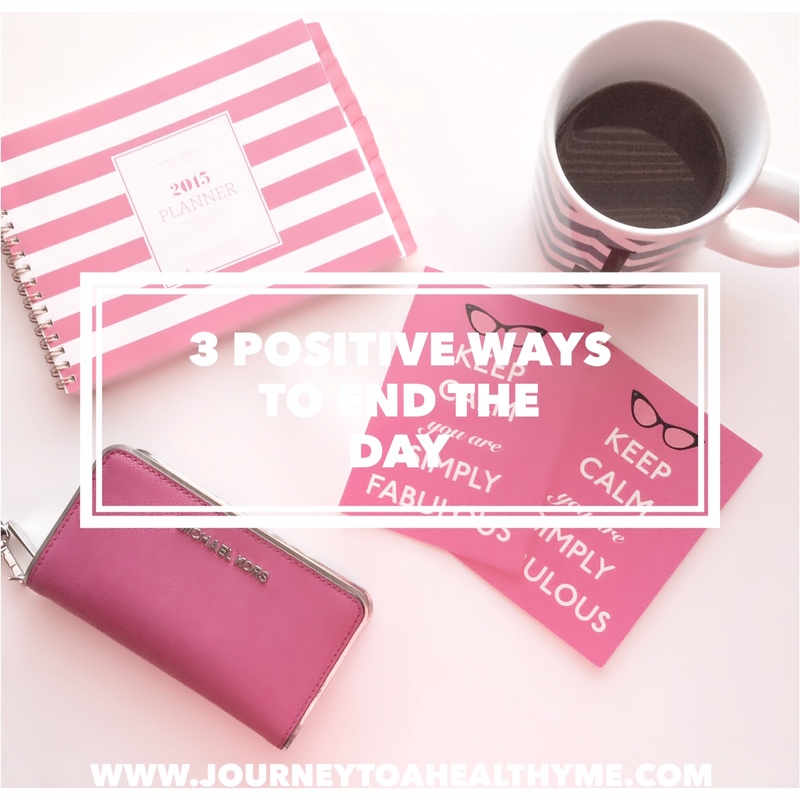 If you like this post, you make also like 3 Simple Ways to Give Your Day A Positive Boost. Let’s stay connected. Don’t forget to like Facebook page. This post has been shared on Fridays Blog Booster Party, Pin Worthy Wednesday, Wednesday’s Wisdom, Link It To Me, Wake Up Wednesday, Thriving Thursday, Pinterest Love, Ultimate Pinterest Party, Pretty Pinterest, Motivation Monday, Inspire Me Monday, Shine Blog Hop, and Merry Monday. I’m bookmarking this! I definitely need to remember these. I have a hard time relaxing at the end of the night and I think this would really help, thanks so much! Love these simple but great ways to end the day…. especially giving thanks! And setting a night time/bed time – mine is EARLY EARLY EARLY!!!!! Great advice! I try to take time and read in the evening. I am going to start writing down my thankful moments. Love this – especially #1! Thanks for sharing how you found some positive out of your experience. I will agree that it is all about how we look at things. 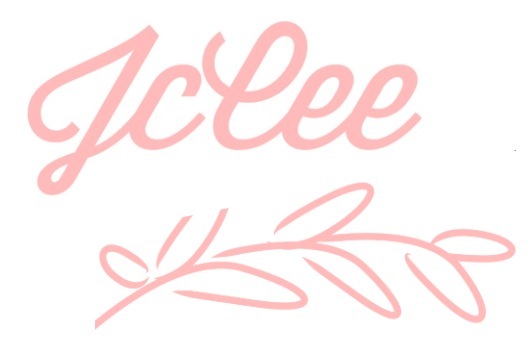 Thank you so much JcCee for bring this lovely positive post to encourage us. Yes, a better time for going to bed is one I need to work on more consistently. You’re very welcome and thanks for giving me the opportunity, Kathleen! It seems like that bed time can be something else. I love these ideas. I think if more moms had a routine like this we would sleep better! Awesome tips. I haven’t been respecting my bed time and I need to get back on track for this one. Thanks for sharing these tips! I did have a bedtime, but I feel like I don’t get everything done that I want so now I’m staying up later, which is not good. I need to work on finding that balance! Gosh how I wish I could give myself a bedtime and stick to it. This has given me some extra encouragement to really do it!!! Thank you! Yes, it seems so easy to look at what we need to do but we would be surprise of how our way of thinking changes for the better we we think of our accomplishments. Love this! I like to go over my to-do list each night and cross off what I accomplished. It helps take the stress of a big to do list away a bit before bed! It just makes the night and sleep a whole lot better doesn’t it. Reducing stress is always great! Great ideas! I am so bad about sticking to a bedtime too. I could stay up hours working on blog ideas and then next thing you know I can’t get up in the morning! Thanks! Oh yes, I kind of felt like that this morning. I got to get me a nap in soon. Thanks for sharing, I am going to implament your great ideas into my routine. Oh man. I was doing so good until I got to number two. 🙂 I totally want to end my day in these positive ways though, so I guess I’m 1/3 of the way there. Beautiful tips! Sometimes I have to remind myself to keep it positive at the end of a stressful day. Your tips will help. Thank you! Oh, I am bad about this. I do the positive thing in my prayers (if I stay awake for them!). But I stay up later and later trying to get things done. You are not alone, Leslie. Prayers are always beneficial! I say, “Let’s strive for progress.” I am in need of a nap right now. I know I am going to tap out soon. This is a great posts! I am loving the tips that you shared! It helps to end the day on a positive note when you are in a relationship and have family living with you. Nobody wants to be living with someone who is always down! These are great tips and I honestly need to work on all of them. My sleep cycle is horrendous and always has been. I’m working on it though! Ending the day by practicing gratitude is such a great idea. We can get so caught up in chasing down what we don’t have that we lose sight of what we do have. I never really thought of having a winding down routine, but I’m going to give it a shot. The fun goes on. JcCee this post was equal TOP most clicked in Fridays Blog Booster Party#8. It will be featured on Friday. Nice work. Thanks for this post. I definitely needed to read this. These are some amazing tips! I’m sure I’ll be using them tonight! These are great tips! I personally am trying to do a cell phone ban at 9PM every night. Playing on my phone is my biggest weakness at night; I’m sure I’d much happier turning it off at 9! Such wonderful tips! I have been struggling to find balance between being a stay at home mom, freelance writer and getting my blog going. At the end of the day I end up feeling really stressed trying to keep up with it all. I will certainly be putting your tips to use! Thank you for the wonderful tips. I am having a hard time finding a balance between being a stay at home mom, freelance writer and now a blogger. At the end of the day I feel super stressed from trying to shuffle it all. I will certainly be putting your tips to use! I’m in the same boat as Shelley (above me). I have a hard time giving myself a bedtime. Spa baths are awesome though. These are great tips. I have a bedtime but don’t always make it because when I’m tired, I usually go to bed regardless of how early it might be. Sleep is a wonderful thing! Hi JcCee, it is me again now to thank you for joining #WednesdaysWisdom. Great ideas for winding down. I have trouble sleeping and these things would help. Visiting from Prett Pintastic. Sticking to a bed time – that one would be so difficult for me but I know if would have great payoff. Great ways to end the day and good advice – Thanks for linking up to Pin Worthy Wednesday, I have pinned your post to the Pin Worthy Wednesday Pinterest Board. I truly enjoyed reading your post. I like that you referred back to relatable posts…especially the post about 5 ways to reduce stress. I will definitely be using some of your tips. Doing a relaxing activity is something I definitely want to start doing. Maybe learning to meditate will help as well.